The Washington Post reports that first daughter, and White House adviser, Ivanka Trump sent hundreds of government emails using a personal email account. A week that's supposed to be about peace and togetherness instead began with multiple tragedies. In Chicago, three people are dead after a man opened fire at Mercy Hospital; one victim was an emergency room physician who'd been romantically involved with the gunman, who also died. Also last night, several people in Denver were injured and one was killed in a shooting near Coors Field; police are hunting for a suspect. Other fatal shootings occurred in Philadelphia, where four were found dead in a basement, and at a suburban St. Louis business, where a woman was assaulted and fatally wounded. Aside from the sheer volume of the incidents, Monday's shootings also reflect a continued rise of so-called "soft target" attacks, like those on a Pittsburgh synagogue and a California bar. A new email controversy is hitting the White House. 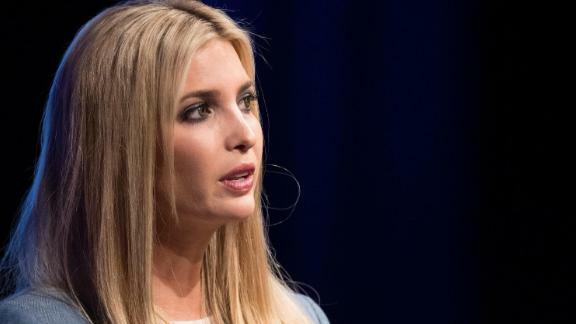 According to emails obtained by a nonpartisan watchdog group, Ivanka Trump used a personal email account last year to discuss or relay official White House business. Of course, this calls to mind the attention paid to Hillary Clinton's email habits during her time as Secretary of State, which became a rallying cry for President Trump's 2016 election campaign. The investigation into Ivanka Trump's emails began last year when the watchdog group, American Oversight, sued several agencies to obtain records of the first daughter's government correspondence. The auto industry was rocked yesterday when Nissan Chairman Carlos Ghosn, one of its most high-profile executives, was arrested in Japan. It turns out, an internal investigation revealed "significant acts of misconduct" over many years by him and another top exec. Nissan said it had been investigating Ghosn, a 40-year veteran of the auto industry, and another board member for months following a whistleblower report. As you can imagine, some major businesses were plunged into uncertainty following the news. Nissan is part of a powerful alliance of automakers that also includes Renault and Mitsubishi, and together they're responsible for more than 10% of all cars sold around the world. Ghosn's fate will have a huge impact on the companies' futures. President Trump's ongoing attempts to ban, turn away, incarcerate or otherwise dissuade asylum-seekers at the southern border just hit a huge road block. A federal judge yesterday issued a temporary restraining order blocking the Trump administration from denying asylum claims to immigrants who cross the US-Mexico border illegally. Previously, Trump had said he wanted to keep such migrants from applying for asylum, a legal course of action for non-citizens that can be pursued once a person actually arrives at the US border. "Whatever the scope of the President's authority, he may not rewrite the immigration laws to impose a condition that Congress has expressly forbidden," wrote US District Judge Jon Tigar in issuing the monthlong order in San Francisco. The Camp Fire in California is still burning, still destroying, still killing -- but the area can expect a small respite soon in the form of much-needed rain. Four to 6 inches is expected later this week, which should help a little bit in dissipating the smothering heat and smog from the fire. However, in a cruel irony, since most of the vegetation in the area has been incinerated, the rain will fall on bare earth and put the region at risk of mudslides. As if things weren't awful enough, it's also worth a note that because of the massive fires, smoke, smog and debris, three Northern California cities -- San Francisco, Stockton and Sacramento -- have topped the list of the world's most polluted cities. Great! It's only taken ... (checks calendar) ... 46 years! "Wombat poop researcher" sounds like the greatest job in the world. What? You don't think gorging on dry turkey and making strained conversation with distant relatives is STRESSFUL? Can ... can we come? Sorry, please leave that unexploded Claymore mine at home. That's the proportion of parents who say they're going to skip flu shots for their children this year.